"Wind turbines on the earth's surface suffer from the very stubborn problem of intermittent wind supply." 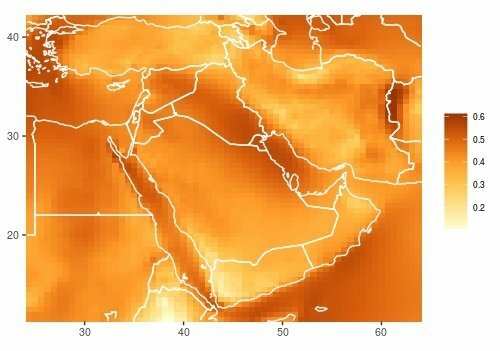 Researchers from King Abdullah University of Science and Technology (KAUST) in Saudi Arabia have devised the best altitudes for flying high-altitude wind power generating tech in the Middle East. The research could be a step towards high-altitude wind power generation, and eventually overcome some of the limitations of traditional wind turbines. High-altitude wind turbines are similar to kites, flying while tethered to the ground. The tether allows electricity generated in the air to travel back to Earth to be consumed or stored. The KAUST study showed that farming from high altitudes could provide an abundant and reliable source of wind-generated energy. The researchers used data gathered by NASA to discern the altitudes that will best support the technology while factoring in daily and seasonal variations. High-altitude wind turbines could make up energy deficits during non-peak generation periods, both reducing our reliance on fossil fuels and lowering some of the need for battery storage during windless days. The devices needed to make high-altitude wind power generation a possibility are still in their infancy. The technology that already exists would allow for power to be collected at altitudes of two to three kilometers; however, there is much greater potential at greater heights. Current grounded wind generation and other renewable energy tech have been ready for much longer, and while adoption is picking up steam, we are nowhere near where we could be.